After many trips to the Napa Valley it became a dream of mine to make my own wine. I knew I wanted to make it hand crafted in small batches that could hold its own with the best wines in the valley and the world for that matter. My goal was simple, find the best fruit that I could personally put my hands on, find the best winemaker in the business, and be involved in every step of the process. 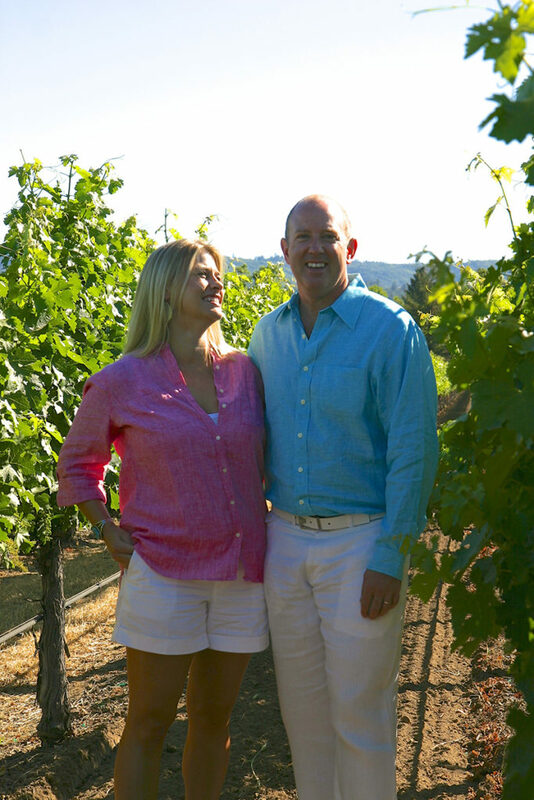 This is the part of the story where I have to thank our winemaker Mike Smith for his patience. I’m sure there are many nights where Mike wondered what he had gotten himself into. The finished products, Becklyn Napa Valley Cabernet Sauvignon and Rutherford Sauvignon Blanc, should be wines that only get better with age, increase in value, and most importantly rank among the best in the industry for a fraction of the price. Now all I had to do was convince my wife Amber, I’m glad to say we’re still married! Becklyn Cellars wines are hand crafted from start to finish. We source our grapes from the prestigious Rutherford and St Helena Districts in Napa Valley. The wines are aged in new French oak and carefully bottled with the utmost care to preserve their unique balance and complexity. I’ve been asked by many people what is the genesis of the name Becklyn Cellars and what’s the significance of the Cypress Tree. In a place untouched by time sits a 230 acre ranch where race horses are raised known as Becklyn Farm. Becklyn Farm sits north of Bunger, Texas. Trust me you’ve never been there because the farm is off a tiny county road in the middle of nowhere. My parents Lynn & Steve Denny built it by hand in 1993. Becklyn is a place where baby horses spend their days lounging in the sunshine with dreams of greatness to come. It’s where my mom’s ashes are scattered. It’s where I proposed to Amber and she said yes! While the ranch is covered with majestic oak trees, there is a cypress tree that stands alone in a maiden field. That tree stands strong to this day and is a symbol of perseverance. I guess you could say that farm and the cypress tree are the center of my family’s universe. Becklyn Cellars was built on the premise that wine should be enjoyed, never pretentious, and always take you back to your fondest memories. Amber and I want to thank you for your support and your kind words over the years. We hope you will enjoy a bottle of Becklyn Cellars wine at the Center of Your Universe!